In this intricate YA tale, teenagers with special skills unite to confront bullying, though they end up fighting crime, murder, and terrorism. From the opening car chase, this book grabs readers and holds on as it blossoms into a complex action-adventure with multiple intertwining plots. Smith (Sock N’ Boots—Afraid of the Dark, 2010, etc.) deftly juggles these numerous elements while creating a cast of believable, empathetic characters. Margo Rios, a bright reporter for her high school newspaper, is strong-willed and self-sufficient. She writes an anonymous blog and runs with the in crowd, which includes her best friend/soon-to-be mortal enemy, Kat. Margo scoffs at the idea that bullying could drive someone to suicide—until she sees it for herself. Margo is a different person. She continues her investigation of the student-run counterfeiting ring, which claimed the life of her friend Tony, and she finds that being ostracized from the popular crowd allows her to make new and interesting friends. Chief among them are Chase, a sound engineering genius; Corin, a multitalented exchange student from Italy; Jo Jo, a chemistry expert; and Taj, a computer wizard. Together they form Mind Over Bullies, a group that uses its myriad talents to out bullies and give them a taste of their own medicine. Eventually, MOB evolves into a true crime-fighting band of superheroes. Reminiscent of the Hardy Boys and Nancy Drew, the teens outshine adults. They operate in their own world more or less autonomously, sometimes cooperating with grown-ups, other times circumventing them. Filled with numerous side plots involving family history, a mysterious corporation, a rare disease, terrorist plots, and more, Smith’s tale ties it all together seamlessly while continually sounding the bullying theme, which intensifies from everyday school harrying to a device for recruiting criminals. 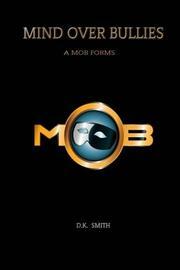 The conclusion sets up the next MOB exploit. Complex, layered YA that easily appeals to adults, too.